Any seasoned traveler will tell you that a camera is a good travel companion and it is most ideal to invest on a good camera to be sure you take the most special, if not the best, travel photos. It is not necessary, though, to get the most expensive brand or model. 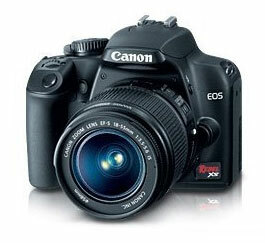 If you have the budget to shell out, you can always go for a canon eos rebel xs or a good dslr model. This will allow you to take professional-like photographs and capture all those candid moments and precious travel memories. But you do not have to stress over the budget if you do not have enough money, you can always settle for a nice point-and-shoot model, learn the rudiments of good photography, add in a little ingenious and creativity and you will be taking those wonderful pictures in no time at all, letting you enjoy your travels even more. This entry was posted in Travel must have, Travel tips and tagged camera, camera buddy, cheap camera, the best camera, travel buddy, travel what-not, traveller's companion on November 24, 2011 by Yami. Once it so happened that we forgtot to take camera with us on our holiday trip. We definitely had lot of fun, but had no camera to capture those amazing moments. I love Canon! This product is known for its quality shots.